It is with sadness that we announce the passing of Lenora Pearl Smithers (Estes)of Maple Ridge on Sunday March 17th at 10:55am. Lenora was born on September 27, 1928 in Winnipeg Manitoba, Lenora was an only child. Lenora met Lloyd in Winnipeg shortly after the war. Their romance led to a life together that included 6 children: Angela Smithers (Dave), Colleen Marshall, Karen Cholette (John), Cindy Prime (Geoff), Denise Johnston (Mike) and her youngest Bill Smithers (Linda). They had 14 Grandchildren: Michael Cluney, Jon Cluney, Matthew Marshall, David Marshall (Ashley), Robert Linfoot, Lynzie Smithers (Mike), Leanna Smithers, Lloyd Smithers, Breanne Smaaslet, Gavin Johnston, Adam Johnston (Jurnee), Jason Smithers, Alecia Smithers (Craig), and Tyler Smithers (Crystal). They also had 16 great grandchildren: Elliott, Amanda, Russell, Evan, Logan, Dayton, Dallas, Mazie, Kennedy, Nicholas, Clair, Sal, Nathan, Jordan, Calie and Jaylen. She also has two more great grandchildren on the way. Lenora and Lloyd moved from Manitoba to Vancouver in 1969. After a few moves they settled in Delta for many years. It was in Delta that Lenora professed her life to Christ in 1986. Both Lenora and Lloyd were very involved with their church (Royal Heights) at that time. They both became part of the gospel singing group the Prime Timers. Lenora loved the spotlight and enjoyed a variety of music. She also loved her bible studies and community groups but mostly serving our Lord Jesus Christ. A few years after Lloyd’s passing in 2008, Lenora moved to Maple Ridge with her daughter Karen. Lenora was kept very busy with different social activities especially Karaoke with her family. It was these activities that probably contributed to her longevity. 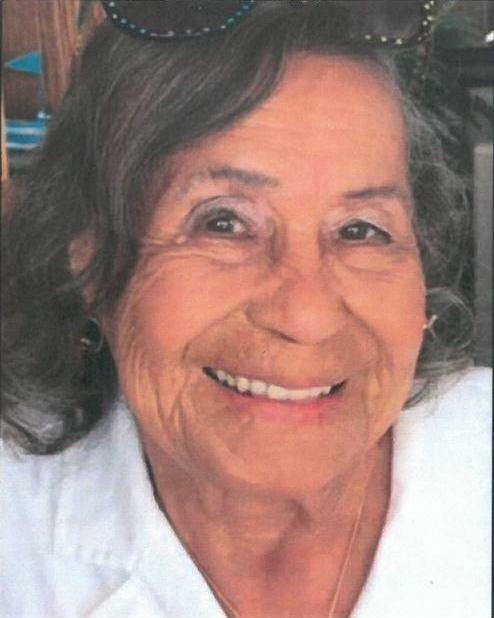 In every community that Lenora resided in, she was loved by many. Most only knew her as Gramma. There are many people we would like to thank in the care of our dear mother: Ridge Meadows Hospital and Daycare staff, the wonderful ladies from Home Support, specifically Jennifer, Kimberley, Penny and Linda (Saturday Respite), the HandyDart staff and the staff at Army Navy & Airforce Veterans in Canada #379, Royal Canadian Legion Maple Ridge Branch 88. Lastly, we would love to thank our sister Karen (John) and family for their care while mom resided in their home. Good bye our beautiful social butterfly!